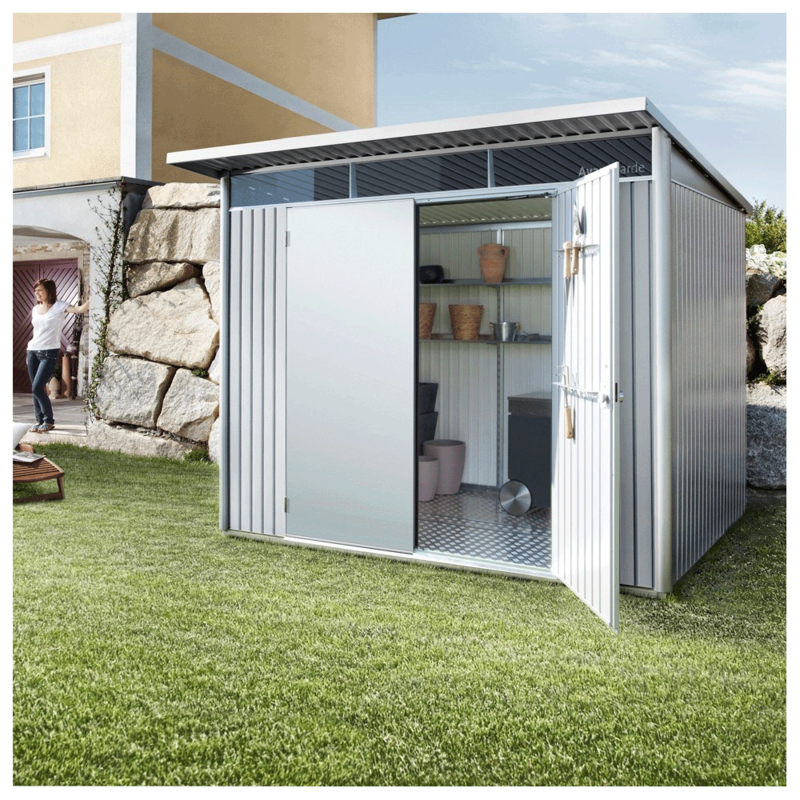 Storemore Avant Garde Size Large: The Avant Garde Large Shed by Storemore has plenty of room for larger garden equipment and tools with a 8’ by 7’ base. The Storemore large shed features double doors to allow large items to be stowed away easily. The Avant Garde shed is made from high tensile galvanised and polyamide coated steel for a strong, durable and rust resistant finish. The Storemore metal shed comes with an integrated organisation system including a shelf set and tool hanger. The gas damper prevents slammed doors and the gutter system provides the facility to collect rainwater.